Can be applied to existing paints, stains, and colorfast wallpaper untreated wood, cabinets and furniture. Very low VOC content (contains 21g/l VOCs). Cleaning with a odorless, dye-free, all-purpose cleaner like SafecChoice Super Clean is recommended. One gallon covers approximately 350-500 square feet. 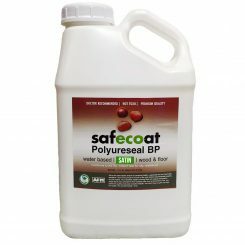 Click here to see how Safecoat seals toxic chemicals. 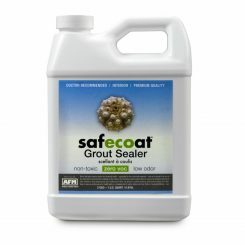 Safecoat Hard Seal is a powerful non toxic sealer that prevents off gassing of pollution and toxicity from underlying floors, walls, and many other substrates. It’s very low VOC Safely used by individuals who are chemical sensitive. 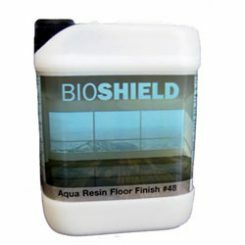 it’s a multi-use, clear gloss sealer specially formulated to provide scratch resistance on most surfaces. AFM Safecoat Hard Seal meets or exceeds all federal and state air quality regulations, including California. 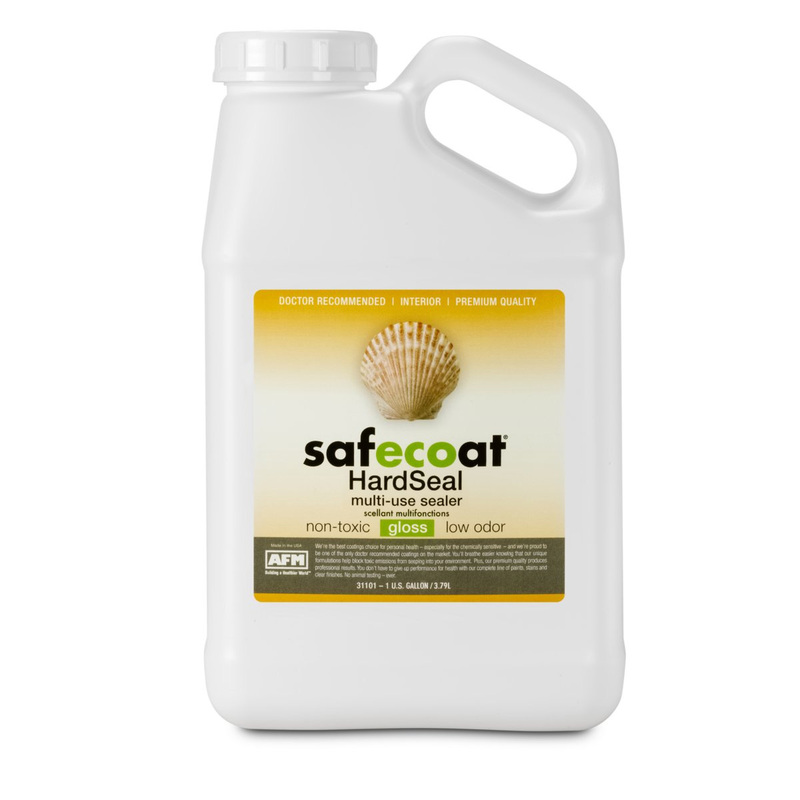 Because Safecoat Hard Seal forms a continuous membrane when applied properly, it is particularly effective at sealing in any pollution or toxic chemical compounds outgassing from the surface to which it is applied. Typically used on previously uncoated and unsealed woodwork, cabinetry and vinyl tile. To prevent outgassing of previously coated surfaces, Hard Seal can also be applied over existing paints, stain and colorfast wallpaper. When applying to previously coated surface, test in inconspicuous places for satisfactory appearance. Not for use on particle board or chipboard. One gallon of Safecoat Hard Seal covers approximately 350 square feet in one coat, depending on surface porosity. All surfaces must be clean and free from dirt, dust, grease, wax, oil, silicone, tsp/soap, mill scale, oxidation, loose peeling paint or varnish, or any foreign matter/contaminants. Apply test patches before undertaking large areas to assure good adhesion and lack of surface contamination. Wood staining should be completed before applying finish coats. Sand wood with the grain only. When surfaces have been sanded, dust and vacuum thoroughly to remove debris and then use a damp rag to remove dust before applying finish coats. (Note: tac rags may leave a residue that can interfere with flow and adhesion, causing surface defects.) Wood surface may be dampened to raise grain, sanded, and then wiped free of dust before applying stain or finish. Moisture content of wood should be below 12% for best results. Always have adequate ventilation. Before using, mix coating thoroughly by gently stirring or rolling container to avoid air bubbles. Be sure to stir product thoroughly every 20 minutes during application. Do not shake container. Pour material to be used into another container before applying coating to avoid contaminating main container. Then apply as is, using a quality nylon brush, pad applicator, or unheated spray applicator. Apply liberal coats, keeping a good wet edge and avoid overbrushing. In most cases, a minimum of 2 coats is required, depending on the surface. When spraying, use a .015 tip or smaller. Apply thin even coats when spraying rather than heavy coats which will tend to sag. If spray pattern begins to dryspray, reduce air pressure and increase material flow to surface. Use a damp, dust free rag after sanding to remove dust particles. Use aluminum oxide or silicon carbide sandpaper to sand between coats. For best results, this product should not be reduced. Use only during low or moderate humidity conditions. Applying this product over lightly dampened surfaces can assist the user in controlling the dry time. Smoother finishes are achieved when surfaces are damp during application. Note: these instructions are intended to be general only and not exhaustive. The applicator should determine what preparation and techniques are best suited to the specific surface. Under normal conditions, Safecoat Hard Seal dries to touch in one hour and is recoatable after 2 hours. Normal conditions include a dry surface, access to fresh air flow, moderate humidity, and temperatures above 55 degrees F. Thick application, high humidity or conditions other than normal will cause Safecoat Hard Seal to dry and cure more slowly.